Unusual cancer called Schwannoma, cancer of the heart, in male rats has been caused by electromagnetic radiation. 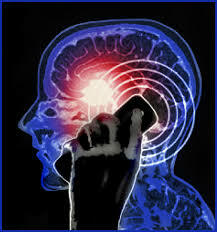 In addition, a study of cell tower radiation also found increases in malignant brain (glial) tumours. Animal testing is unnecessary at this point. We have tonnes of data on this, there is no more need for scientific discussion as this doesn’t seem to be a debate, so why does the corporation always put up a fight? There are already existing issues with current technologies, but right now, 5G wireless is making a lot of noise. Research has also shown that the same frequencies used by the Department of Defense in crowd control weapons actually form the foundation of the 5G network. Dr. Sharon Goldberg, an internal medicine physician & professor recently gave her testimony at a hearing in Michigan about the dangers of electromagnetic radiation. It’s a very powerful testimony.